Fleetwood. This is my town and it’s where I plough my trade as the hog roast hire Fleetwood caterer. I love it here and I know that the people of Fleetwood love my hog roast. Of course this town is well known for a couple of things in particular. Fishing is one. Fleetwood has been a fishing port since the 1800s and to this day it is still plays an important part in the town’s economy, but Fleetwood will probably always be somewhat in the shadow of its tower hosting neighbour just a few miles away. Indeed it was the growth in popularity of the UK’s top seaside resort that coincided with a decline in Fleetwood’s fortunes. 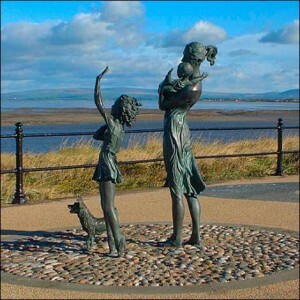 It’s not all doom and gloom though, Fleetwood is also home to one of the most unique products around. They may not be to everyone’s taste but the Fisherman’s Friend lozenge which is manufactured in the town is a worldwide brand that enjoys particular success in Japan. The menthol lozenge has a rather distinctive flavour indeed. And of course, I can’t not mention Fleetwood Town FC who are now a football league club. They have a wonderful ground in the shape of Highbury Stadium and are tipped to do well in the seasons to come. What with then fishing, the fisherman’s friends and the football, Fleetwood is a town where it’s all happening, so I guess I made a good choice when choosing to be the hog roast hire Fleetwood caterer for the town. With around twenty five thousand people in the town, I certainly have a big audience to please. 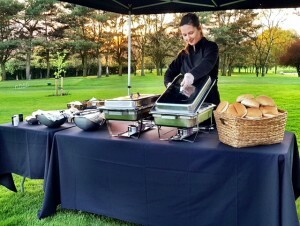 Luckily, hog roast Fleetwood events are becoming pretty popular, and that is keeping me very busy indeed! I must admit that I have been pleasantly surprised at how popular hog roast is proving round here. Hog roast Fleetwood functions are coming thick and fast these days which is great news. I suspect a lot of this is simply down to people wanting to try something g a little more special when it comes to event food. I remember when I was younger going to countless events where the food seemed like it was an afterthought, like no-one was really bothered what you ate. It’s a real shame when that happens because it can put a downer on an otherwise great event. A Hog Roast need not to be a bank breaking exercise. 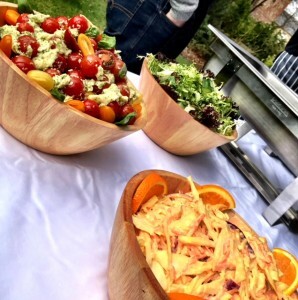 Not only is a hog roast one of the tastiest catering options available but it’s a great deal, too. I have cooked a hog roast at many events over the last few years and I get over a hundred servings from an average Fleetwood hog roast! Some people say it’s like the magic porridge pot in that the food just keeps coming. Seriously, hog roast represents excellent value. But there’s a lot more to hog roast than just great value and endless servings. 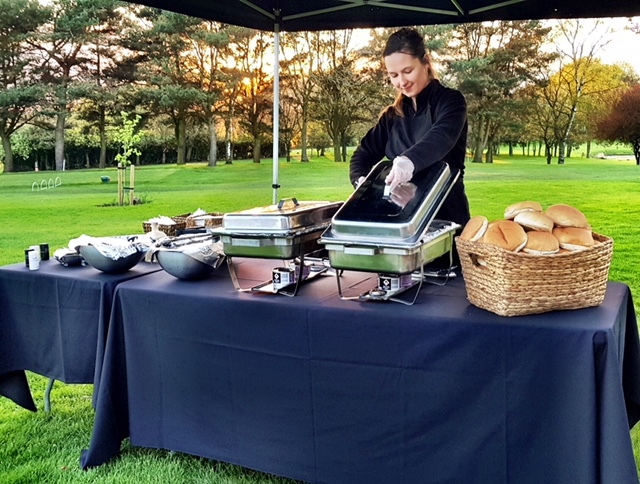 Book a hog roast for your special event, whether it’s a posh affair or a good old birthday bash, and you are getting some of the very best freshly cooked food around. I make sure that every hog roast I cook is something special and that begins with getting hold of a great quality whole pig. Now you may think that I don’t need to put much thought into that. After all, it’s just getting roasted, but you’d be wrong. A great hog roast is just like any other quality meal and that means great ingredients are essential. The whole pig has to be great quality so I choose carefully and get my pigs from my favoured supplier. The cooking is equally important. Ask any top chef about cooking a good joint of meat and they will probably say just one word: slow. Slow roasting meat is essential as it allows the flavours to really develop and mature. That’s why I will have started cooking the hog roast for your event a few hours in advance, because it takes six hours in total for an average sized hog roast. So, I think you can add ‘flavoursome’ to fishing, fisherman’s friend and football when talking about Fleetwood, because my hog roast services really are adding another dimension to this great town. If you want to add a bit of fresh cooking flavour to your special event, I can be your hog roast hire Fleetwood flavoursome friend!